The head writer of Megyn Kelly Today was fired recently, allegedly after reporting a “toxic and demeaning work culture” at the NBC show. Kevin Bleyer made complaints that he was bullied by co-executive producers Jackie Levin and Christine Cataldi. One of the claims that were revealed when insiders sent copies of emails to the Daily Mail was that Cataldi regularly calls her assistant “an idiot” while Levin demands answers from her assistant to questions she had never asked before. “I’m sad to say … the executive incompetence continues—as does the dysfunctional management, abusive treatment, maddening hypocrisy, staggering inefficiencies, acidic and deficient communication, and relentless scapegoating,” Bleyer wrote in one of the emails. “Jackie Levin persists in creating a toxic and demeaning environment, and Christine Cataldi enables and reinforces it,” he wrote. 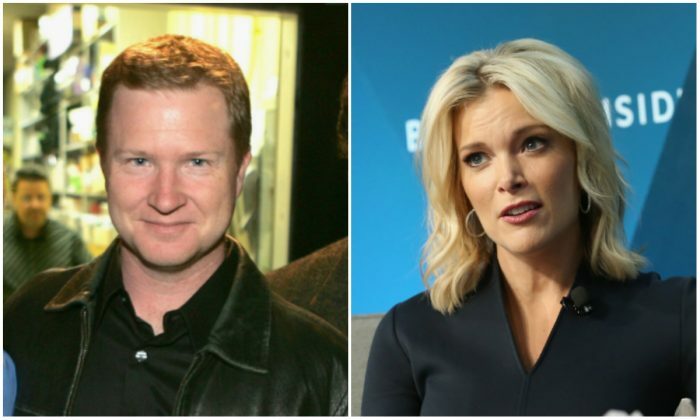 “The working environment on Megyn Kelly Today is completely toxic. It is hypocritical that a show that has positioned itself as a safe place for those who are victims, has staff that feel like they are being harassed and abused,” an unnamed source told the Mail. However, NBC News is pushing back against the claim. “Jackie and Christine are being attacked unfairly. They are both excellent and experienced producers, and have the full support of everyone here. They, and the team, are fully focused on continuing the show’s momentum as it continues to climb in the ratings,” a spokesperson told The Hollywood Reporter in a statement. A source also told the outlet that the writer’s grievances were “distorted complaints” and evidence that he had an ax to grind. The news comes just days after it was revealed that Kelly, “Today’s” current highest paid host, would not travel to South Korea for on-the-spot Olympics coverage. Instead, she will cover the international event from the studio while many of her colleagues will be onsite.